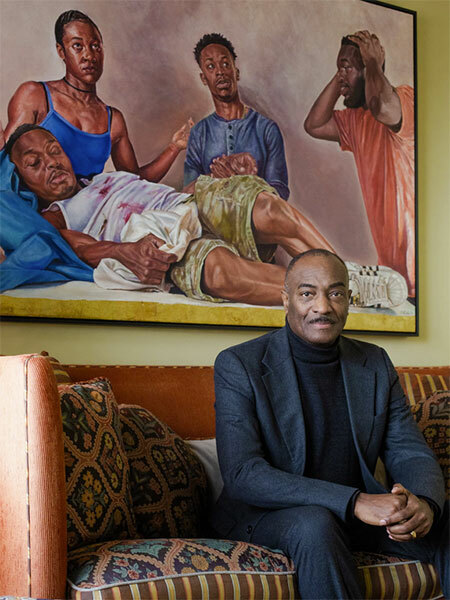 The New York Times recently profiled art collector Reginald Van Lee (MBA 1984), discussing some of his collection with him in his Manhattan apartment. Van Lee, who retired from Booz Allen Hamilton in 2016, has a number of pieces adorning the walls of his Manhattan apartment, and some 400 pieces at a home in Wharton, Texas. The article also notes that Van Lee will soon be honored by the Theater Development Fund for his dedicated support of the arts. The interview portion of the article asks Van Lee about his educational background, which includes a bachelor’s degree from MIT in addition to his HBS MBA, and how the arts factored into his academic experience. “When I was 3, 4 years old, I would draw and paint,” Van Lee tells the interviewer. “In elementary school, I was in the glee club. In high school, I was in speech and drama. The performing arts and visual arts were always something I was very interested in. Pretty early on I discovered I would probably be a better consumer of art and patron of the arts than an artist.